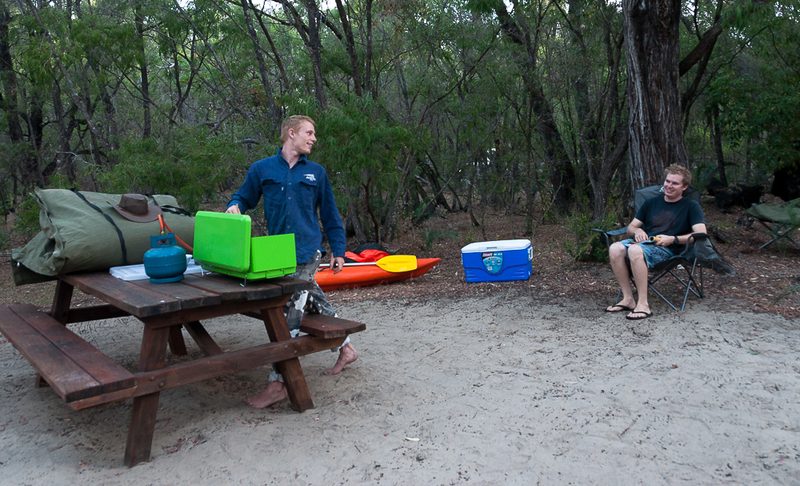 Looking for some great camping near Perth? Located a 130km drive south of Perth via the Forrest Highway, Martins Tank Lake is a tidy little campground maintained by Dpaw and managed by volunteer campground hosts year round. This is the closest you will get to camping at Preston Beach. For a more interesting off road drive, try heading through Mandurah to Tims Thickett, and driving down there via the beach with a spot of fishing along the way! See HERE for the blog post on that one! Approximately 130km south of Perth. Take Preston Beach Rd off the Forrest Highway and follow the signposts to Martins Tank Lake. Bushwalking, bird watching and enjoying the tranquility. Fishing and swimming are exceptional down at Preston Beach, where you can even score a free cold shower after a dip. Preston Beach is only a few kilometres away and the Preston Beach General store stocks fuel, limited groceries and boasts a Thirsty Camel bottle shop. Winner! For a greater range of facilities or medical attention, Bouvard or Falcon on the outskirts of Mandurah are 23 and 32km north of Preston. As this campground is so popular, it is essential that you book a site through Park Stay which is run by Dpaw. At the time of writing, camping fees are $10 per adult per night, and $2.20 per child between 5-16 (under 5 free). Hey Mate, Will you be posting a video of this trip at all? I have been to Preston Beach about 12 years ago and drove south for many Km and saw nothing worth while at all. Havent been down that part of the country since then but found a few places around Margaret River and not much at Augusta, unless I missed something.